Mr. Flaster’s has served in a variety of executive and producing roles in a range of media formats. His innovative productions have been recognized with national awards and public acclaim. Mr. Flaster was at the cutting edge of technological convergence when he created, developed and was executive producer for the documentary series “Full Focus,” which merged radio, television and new media and was winner of multiple Radio & Television News Association of Southern California Awards for Best Documentary. 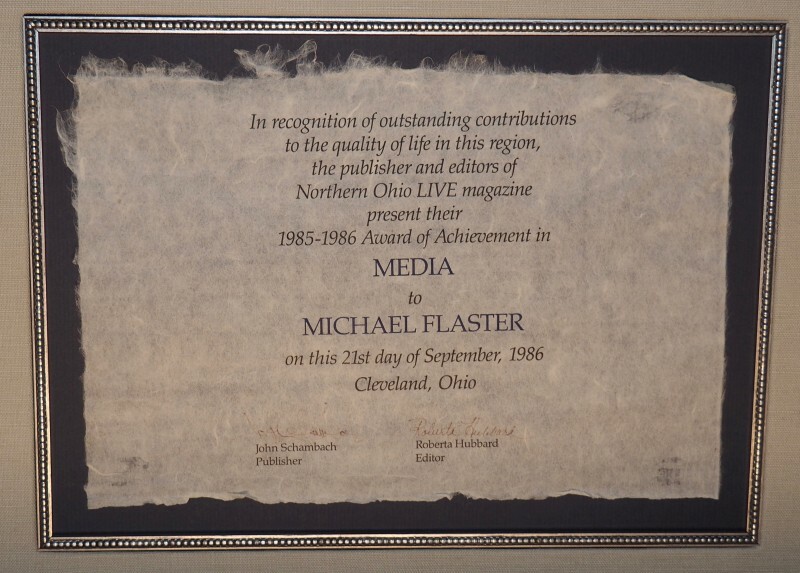 Flaster was Executive Producer for PBS Programs “Skin Stories, “War in the Wind,“ PBS distributed “Liquid Stage, and the award-winning, nationally syndicated short film series “First Frames.” He also served as Associate Producer for the full-length feature film “Love Always.” Flaster created and was Executive Producer for the now nationally syndicated radio language program “A Way With Words” and was producer for the nationally distributed legal affairs radio series “The Benchbook.” Flaster was broadcast producer for two seasons of the Cleveland Opera and was producer for numerous National Public Radio performance programs including the live broadcast of the National Folk Festival Liberty Centennial Weekend from New York City. Winner of San Diego Press Club 2002 Best of Show & DuPont/Columbia Award Silver Baton. Aired nationally on PBS in May, 2003. Creator and Executive Producer for investigative television documentary, "Full Focus"
Winner 2000 Pacific Southwest Emmy Award and two Radio and Television News Association of Southern California Golden Mics Awards for Best Television Documentary. Associate Producer of "Love Always"
Executive Producer for television documentary, "Liquid Stage"
Aired nationally on PBS, distributed internationally and winner of the 1995 Cine Golden Eagle Award. Executive Producer for the short-film television series, "First Frames"
Syndicated nationally and winner of the Corporation for Public Broadcasting Silver Award for Excellence in Television Performance Programming. Producer and Recording Engineer for NPR’s "National Folk Festival Liberty Weekend Centennial"
Winner of the Northern Ohio Live Magazine Award of Achievement. Producer for the legal affairs radio program, "The Benchbook"
Syndicated nationally and winner of two Ohio State First Place Awards and the American Bar Association’s Silver Gavel Award for distinguished public service.